What are the Key Roles of Area Sales Managers? The role of area sales managers more or less toes the line with their traditional counterparts; they are often the one person exerting the greatest influence over sales revenue and productivity, commanding a great deal of respect throughout their respective organization. The biggest difference between an “area sales manager” and a “sales manager” is the responsibility for a specific sales territory, region or “area,” hence the title. For those wanting to know how to be a better sales manager, this blog post will explore these 4 main roles and responsibilities of area sales managers, what the position entails, the common problems faced and how they can be overcome them through the implementation of sales processes, sales team enablement and technology. It’s rare that field sales representatives are responsible for selling to one, single account. It’s far more likely they have a large database of leads, opportunities and clients they visit on a routine basis. All these clients and prospects will be segmented by geography or what we commonly refer to as a sales territory. The field sales rep job is therefore to extract as much revenue from this given territory or area as possible. However, as any field sales rep will tell you it’s almost impossible to fully serve the needs of every single opportunity within their territory as there simply isn’t enough time. That’s where you step in. Arguably the most important (and definitely the first) role of area sales managers is to implement a sales process that guides their team’s decision on how to effectively manage this time and decide who to spend it with. Or in other words, the identification and prioritization of your key prospects and clients. Effective area sales management is all about efficiency; getting your field teams spending the maximum amount of face-to-face time possible with qualified leads or customers. That’s why I recommend following the following area sales management process I first came across in Jason Jordan’s Cracking the Sales Management Code; a fantastic read if you get the chance. As we previously mentioned, the first part of the area sales management process is to identify your ideal customer. This can be done buy borrowing a little activity more commonly practiced by marketing teams; building a buyer persona. For those who haven’t come across the term before, a buyer persona is a fictional character who represents your company’s ideal customer. The reason for creating your buyer persona is to make it 100% clear to the whole sales team who you’re selling to. This way your outreach is aligned not only with the marketing team, but across the sales team too. Most buyer personas are built by profiling real customers or through extensive market research. A combination of the two usually yields the best results. It’s important to note that you can have more than one buyer persona. Your product or service maybe a good fit for more than a single “group” of consumers, so you’ll need to create matching persona’s to help align your communication and selling approach. Once you’ve identified your ideal customer its now the area manager’s responsibility to help your team prioritize who they spend their time with. Without a clearly defined hierarchy everyone looks the same to your team. But, as we determined earlier they only have so many hours a day to call and get in front of customers, so we must make sure they use it wisely. Prioritization should be determined by the specific objectives you set your team for that particular quarter. For example, say you are in the medical device industry and have decided you want to target newly opened hospitals, as research from Q3 and Q4 from the previous year determined them to be more profitable. You would therefore want your sales team spending more time targeting doctors and practitioners from newly opened hospitals in their territory over those that have been established for a long time. Of course, if your objectives happen to change for the following quarter (maybe newly opened hospitals weren’t so profitable after all) then so should your group of priority customers. Area and regional sales managers must design and develop a customer visit frequency plan for their field reps to follow. It’s the tactical aspect of area sales management which determines how often a certain type of customer is to be visited by one of your team. 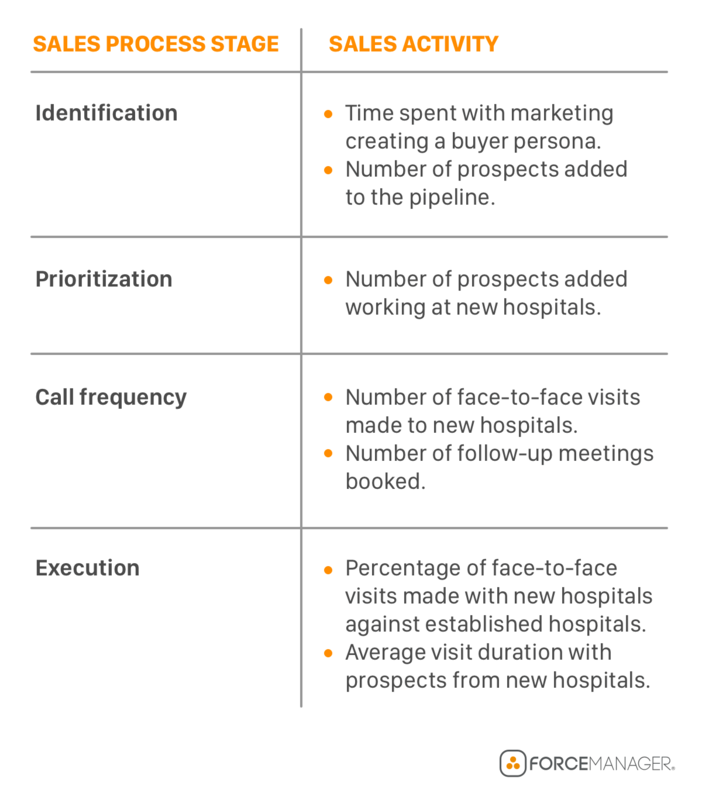 Using our previous example of newly opened hospitals, our call frequency plan might direct our field reps to make 70% of their quarterly visits to this priority customer type. The remaining 30% of visits are to be directed towards existing customers within their territory. Again, if your objectives happen to change then your call frequency plan should mirror that adjustment. The fourth and final stage of the process is call execution. This is essentially using the live, real-time data located in your CRM to ensure your plan is being executed upon. An unguided, ill-disciplined sales force will only hit objectives by pure chance. Aligning your team to specific targets and enforcing a plan that guides them to them will transform your team into the fluid, flexible, almighty revenue-generating machine you always knew it always could be. Sales success is determined by the prompt execution of specific sales activities. These activities, however, are performed by individual people (your field sales reps) and their ability to perform their role has a large hand in the execution of their activities. Therefore, the second key role of area sales managers is to invest in their field sales teams (we wrote a piece on some specific sales training ideas) and improve their capabilities to execute their tasks, a process commonly referred to as sales enablement. Sales enablement is often confused as simply the “skill” of a given sales team, but the truth is it incorporates much more than that. It’s about the sales management system as a whole; the strategies regional sales managers put in play, the processes they implement, the training they provide and the technology given to help salespeople out on the road. But, seeing as this post focuses specifically on the role and responsibilities of an area sales manager, I’m going to focus on the two factors I consider the most crucial: product training and mobile sales technology. If you’re selling a product or service face-to-face in the field then its paramount the salespeople are well versed in its use. If not, they’ll be quickly found out by the buyer (which is embarrassing for them and even more so for the company they represent). So to avoid that, area sales managers must make sure their team has the appropriate training and knowledge of the product or service they are selling. I find monthly or bi-quarterly training sessions a good benchmark to aim for as, 1) I don’t need to unnecessarily call the entire field team back to HQ and 2) I still get a good look at exactly how they are approaching, pitching and selling our product to clients. Alternatively you could join them out on a random call so as not to disrupt the rest of the team’s schedule. It’s your call, as both options are equally feasible. Also, if your typical sell requires outside or expert knowledge then it’s the area manager’s responsibility to make sure their team has access to engineers or specialists in that field. This coordination of internal and external resources is particularly necessary in complex sales cycles. 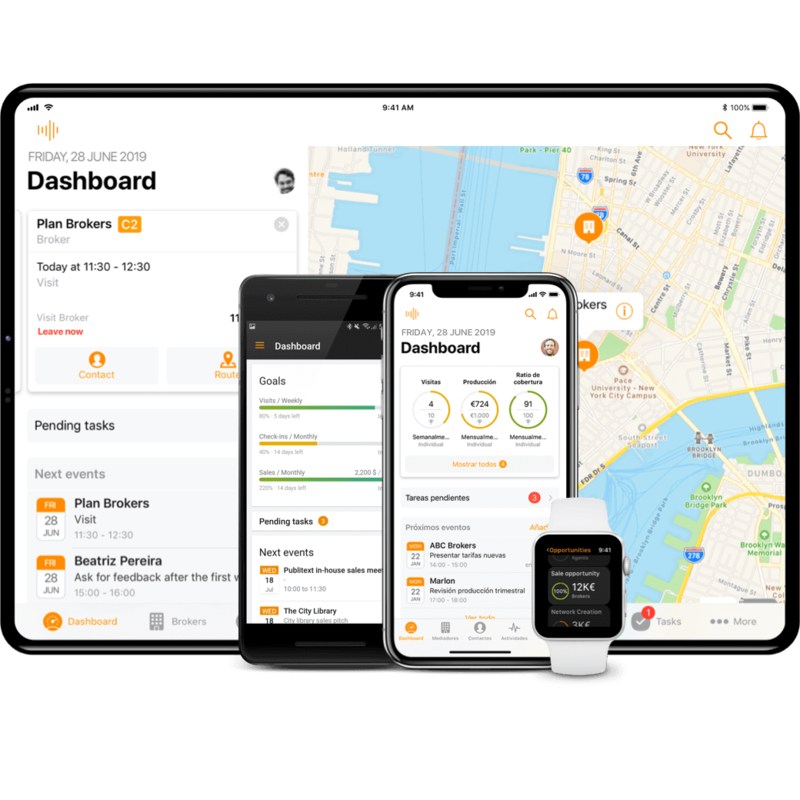 Your second responsibility as an area sales manager is to provide the mobile sales technology needed to support your team with their daily sales activities. This means giving them access to information such as previous sales visits; what was discussed, with who, the terms set and agreed upon next steps straight from their mobile devices. Being fully prepared for a visit not only increases the rapport a rep is able to have with a customer but also avoids them coming across as disinterested or worse, unprofessional. It’s also helpful they have access to any digital documentation they might need, such as product brochures, sales presentations, order forms and proposal templates. All this helps them work more efficiently and execute on their sales activities. The third key role of area sales managers is learning how to conduct efficient sales reporting. An accurate, concise weekly sales report allows you to extract insights on your team’s current performance. These insights then guide your tactical decision-making process regarding the allocation of resources and sales pipeline management. However, with that being said I want to show how to put a sales report together. From personal experience area sales managers tend to overload their reports with just about every data point they can get their hands on. What they end up with are pages and pages of graphs, data charts and other kinds of fancy tables without any particular focus. It therefore makes extracting information efficiently for immediate insights a bit of a challenge. So to make sure you apply focus, ONLY include the data on the sales activities directly related to a specific sales process (see figure 1.1). 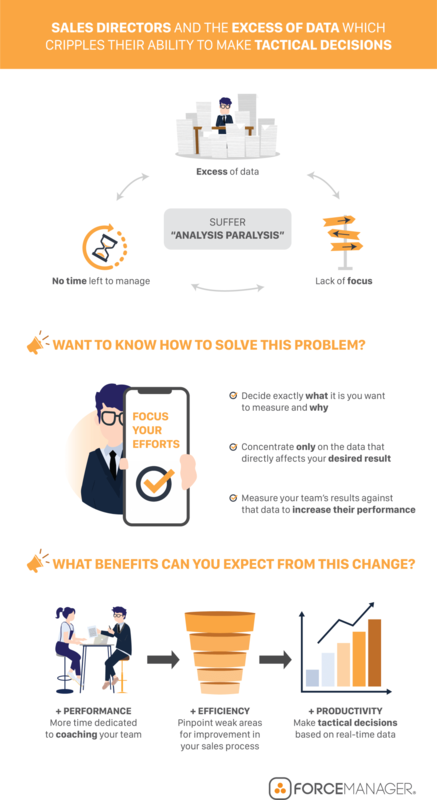 This way a sales reps performance is measured against efforts that directly affect your business objectives (and stops you including a ton of graphs that have nothing do with their performance). 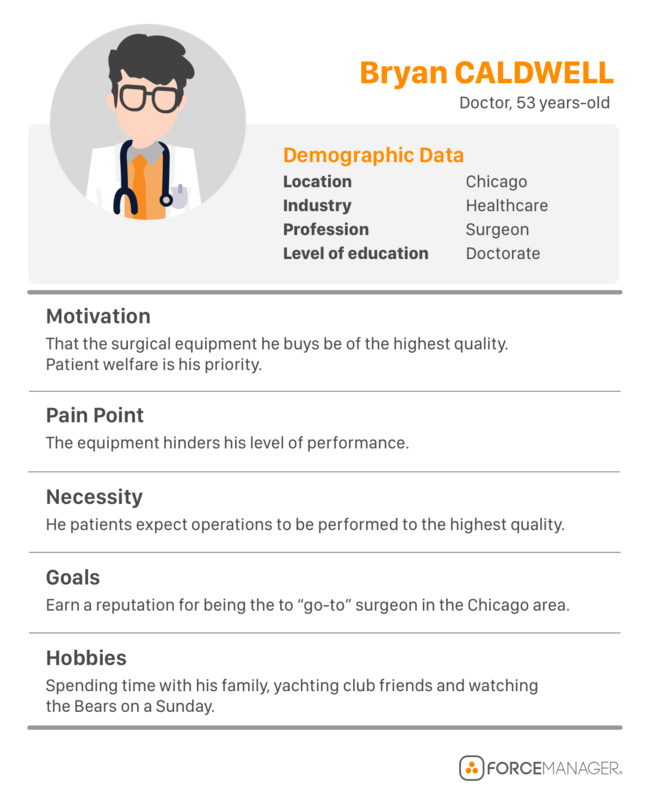 Let’s use our medical devices example to highlight which activities could be included in your sales report. As you can see, from this example there are a maximum of 6 (not 60) sales activities you could include in you weekly sales report that directly affect the performance of your quarterly objective – to increase revenue from new hospitals. Keeping it tight and compact makes it a hell of a lot easier to digest, extract insight and make the best possible decisions regarding your team’s performance.. The fourth and final key role of area sales managers is the development of your sales team. Most business have finally come around to the fact that salespeople are not a disposable commodity to be discarded at will and have done away with the “revolving door policy”. As we discussed earlier when looking at sales enablement, the activities that directly affect business objectives and results are all performed by people. So their ability to perform their role suddenly becomes a key responsibility of area sales managers. The better trained they are and aligned to the processes of the overall sales team, the better they’ll perform. This is where your accurate, concise sales manager reports come in handy. If you’ve got your reporting aligned to your sales processes you should be able to find any weak spots or kinks in your team’s performance. For example, say you set your reps a call frequency target of 10 new face to face visits with newly opened hospitals within their territory. Glancing through your report you notice that Steve (field rep) only made 3 last quarter. AREA SALES MANAGER: Hey Steve it’s me, how is everything going? STEVE: Hey! Good thanks, how are things yourself? AREA SALES MANAGER: Good thanks, listen the reason I’m calling is I’ve just gone through your latest weekly report and noticed you only recorded 3 face-to-face visits. Is there a reason why the numbers are a little low? STEVE: To be honest I’ve found it difficult managing time between my established accounts and new business visits. After finishing my routine face-to-face calls there’s just been so little left to do anything else. AREA SALES MANAGER: OK, now worries Steve. Let’s put some time in my calendar and see if there’s a way we can help you manage your time more efficiently. As we’ve just seen from this quick call with Steve, the reason for his low call frequency numbers appears to be due to him spending too much time with his current accounts, and not enough time prospecting new hospitals. Now clearly Steve can’t abandon these accounts (as they are paying customers) but perhaps he could reduce the time he spends with each one and in some cases, perhaps a phone call might suffice. Whatever route you decide to go down to help Steve with his time management, there are several sales training topics you could explore to help him. To conclude, the role of area sales managers is to extract the best performance from their regional sales teams as possible. To do this they must first set up a clear sales process aligned with the specific objectives for that quarter and, once that’s been established, they are then able to measure and improve their rep’s capabilities through enablement, coaching and the deployment of mobile sales technology. Would you like accurate, concise sales reports?